In part two of our Becoming Customer-Centric series, Dan Izzo and Bill Valasek discuss the building blocks for architecting meaningful, authentic, and seamless omnichannel experiences. To architect a successful omnichannel experience one must define a customer-centric strategy, optimize processes, and design the underlying enterprise solutions that drive transformational change. Our viewpoint below, honed by extensive experience, is based on the realities of complex patchwork systems, legacy technical debt, siloed functions, budgetary constraints, and aggressive ROIs. An organization must make a commitment to strengthen the foundational building blocks of the ecosystem’s operating model and IT architecture. This includes key tenants such as a customer-centric operating model, global customer data model, real-time information sharing, and user experience design. The first step in an omnichannel transformation is to review a corporation’s current operating model. It is critical to break down the traditional silos that exist across a linear value chain and create an enhanced model of integrated functions and processes to deliver a seamless and differentiated omnichannel experience. It is one thing to be able to buy a product online and pick it up in a store. It is another thing to be able to shop the catalog, make the purchase, and have the choice of how, when, and where to receive the product. Adapting one’s legacy structure requires defining and implementing an enhanced operating model that integrates people, process, and technology. Enabling functions to collaborate in a new way that directly and indirectly drives accountability for consumer engagement, conversion, and service is integral to deliver transformational change. All parts of the organization are responsible for the consumer experience, providing the framework for enterprise-wide decision making and asset deployment, and positioning the corporation to efficiently adapt to consumer-driven changes. Customer-centricity is about enhancing the customer experience and not about making things easier for a corporation or simplifying the job of an employee. Creating a structure where people, processes, and technology revolve around the consumer is a leadership, cultural, and operational imperative. Functions need to embrace their integral role in the customer lifecycle, incentives should align to the intended behavior, and metrics need to capture the right actionable information. This will help organizations to become collaborative, more customer-centric, and deliver the benefits of the omnichannel experience to their consumers. Successful adoption of a customer-centric operating model requires a significant change management component. Without clear alignment on the strategic vision, legacy constraints can misdirect decisions toward a path of least resistance. Not defaulting to the status quo is achievable by developing an organization model that aligns the functional structure to the strategic objectives. Establishing a clearly-defined adoption plan and defining the relationships and interactions between functions, governance structures, and processes ensures the operating model structure is best positioned to achieve the stated objectives. In the context of an omnichannel transformation, it is important to establish a change management workstream to assist in the transition from current-state to target-state operating model design. Short-cutting the change management component during the transformation introduces an element of risk that can lead to misalignment within the organization and erosion of the intended benefits. Defining the strategic purpose for collecting the data. Companies need to align on the insights they are looking to glean, the information they intend to share with the customer, and the types of benefits these data will yield for all parties. Identifying the direct and indirect data sources that will be ingested and normalized. It is important to document the different direct and indirect data sources and to identify which interactions matter most to the business and its customers. Defining the system of record for each data element. Data replicated across platforms leads to data synchronization complexities that reduce data freshness and lead to data transparency challenges. Integrated systems need to establish a push vs. pull strategy via restful APIs leveraging primary and reference keys to source key pieces of data from source systems. In a retail omnichannel environment, for example, e-commerce and legacy order management systems are typically tightly coupled with brick and mortar POS software. Investing in standardizing master data. Does every department in the company define a ‘customer’ or an ‘order’ the same way? Does every application use a customer’s e-mail as a unique identifier? Different interpretations of the same data can lead to unnecessary data conversions when integrating applications at runtime and later-on when analyzing operational reports for meaningful (and actionable) results. If clean data are the lifeblood to deliver the omnichannel experience, then APIs, or application programming interfaces, are the freeways by which information is shared with speed and efficiency. These real-time web transactions serve as a key utility to swiftly call and transmit data requests. 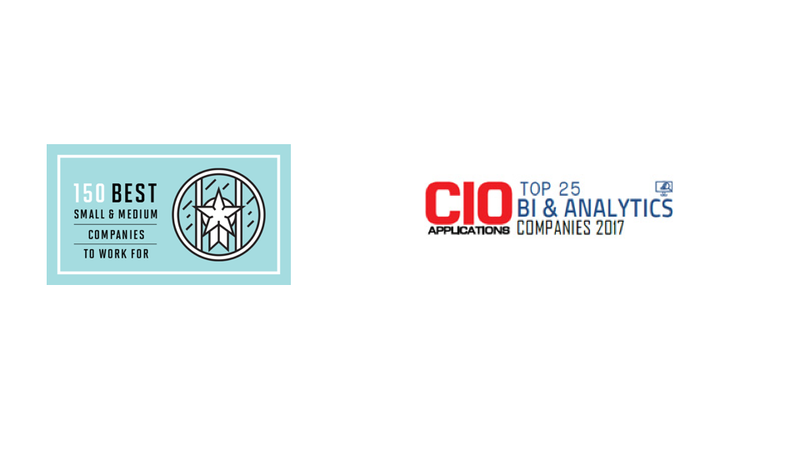 Their importance has grown as businesses leverage a mix of homegrown integrations, 3rd party services, and publicly available APIs to sew together a mix of applications and SaaS solutions to deliver differentiating experiences faster. Microservices, or lighter-weight APIs, provide finer grained functionality and can help promote reuse, interoperability, and minimize the performance impact that may be experienced on expensive calls from otherwise larger, more complex payloads. A delightful user experience is paramount to making an omnichannel transformation a success. For a company to be able to differentiate in the marketplace, they must deliver new and enhanced capabilities that create personalized, authentic, seamless, and convenient experiences. A critical first step to designing an optimal omnichannel customer journey begins with capturing and analyzing customer insights. Observing and listening to customer feedback through user research is an important input to build customer profiles, identify areas of friction, and designing the customer journey. A well-thought-out customer journey includes a defined funnel, clear calls-to-action, and a convenient end-to-end experience that gracefully ushers customers through the process leaving a lasting impression. If one person fumbles with usability, chances are others will be frustrated too. Defining customer profiles and journeys as early as possible and resolving process pain points increases the likelihood of a frictionless experience. This upfront work facilitates the implementation of an omnichannel solution which, in turn, supports the needs of the customer base. With customers making buying decisions every day, companies need to differentiate themselves in order to acquire, sell, and retain brand ambassadors in crowded categories that are constantly under siege. With a customer-centric operating model, global customer data model, omnichannel technology enablers, and delightful customer journey design, companies are able to build stickier relationships with their customers by offering them convenience and memorable experiences. These tighter relationships across different touchpoints afford companies the opportunity to capitalize on the insights from customer data, which they capture, analyze, and apply to continually optimize the consumer experience. 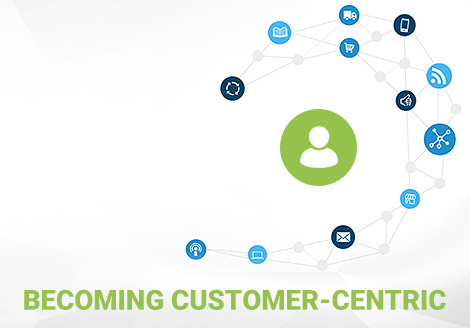 In part 3 of our Becoming Customer-Centric series we share key considerations and lessons learned when operating in customer-centric, omnichannel environments. Have questions about architecting an omnichannel experience for your business? We're always here to help.